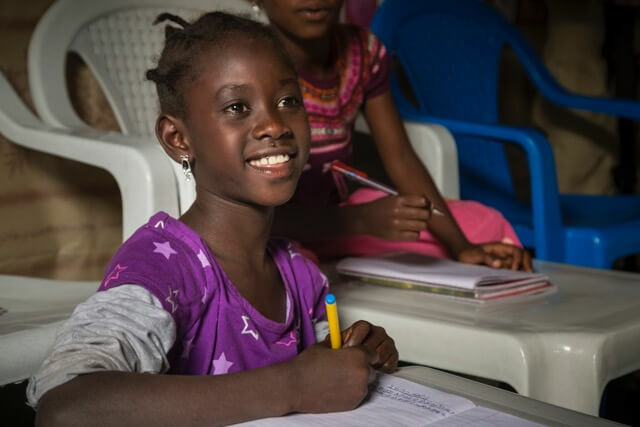 The International Day of the Girl Child shines a light on the unique needs and challenges that girls face. 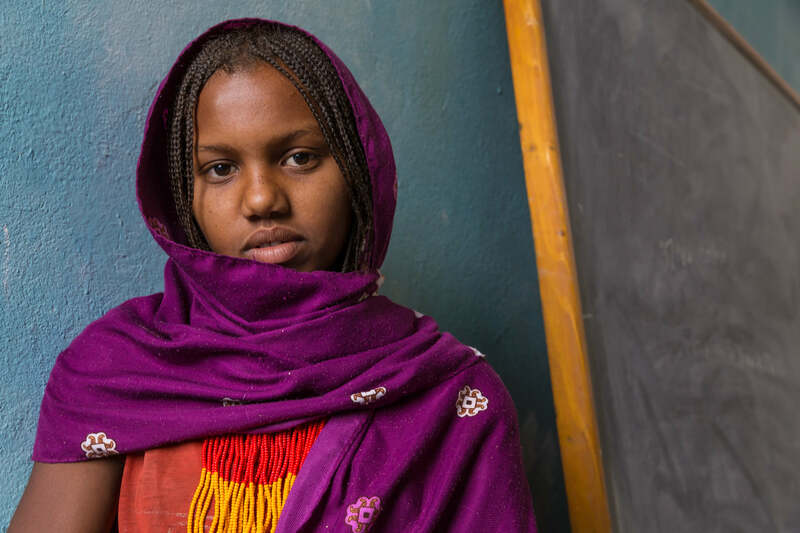 In Ethiopia, girls face barriers to attaining their full potential – barriers like harmful traditional practices, unequal access to education, gender-based violence, and lack of specialised health services. This year’s theme for the International Day of the Girl Child is “With Her: A Skilled GirlForce”. Our global Ethiopiaid offices and local partners in Ethiopia are hard at work every day to help break down these barriers that girls face and give them the skills to reach their full potential in life. Here’s how we stand for girls and women in Ethiopia… Here’s how we stand “With Her”. It’s not just the immediate trauma of harmful traditions like Female Genital Mutilation (FGM) and child marriage which are so dangerous – it’s also the health risks and social repercussions which stay with girls for life. With female circumcision – which affects up to 85% of girls in the Afar region of Ethiopia – long term side effects such as difficulty urinating, kidney disease, and severe childbirth complications physically limit a girl’s ability to lead a full, unrestricted life. At the same time, girls who have been married as children often experience a severe lack of rights in their marriage, losing their independence plus opportunity for schooling or employment. We work on the ground through a local partnership in the areas where these traditions are still carried out to raise awareness and education about the risks involved. WOMAN BY WOMAN | Local women who have experienced and/or practiced these traditions themselves are trained as Women Extension Workers to understand the dangers of these traditions, bring this knowledge back to their community, and help communities move away from these traditions. RELIGIOUS LEADERS | Training and empowering workshops are held with religious leaders to help them defend the rights of women, while community committees are created to monitor the discontinuation of harmful practices and to provide a forum which actively speaks out against these traditions. COMMUNITY WORKSHOPS | Workshops and conferences for local communities are held every quarter, sometimes in areas so remote they’re only accessible by foot or by camel. These conferences open up discussion about harmful traditions and help bring new ways of thinking forward – important for areas which are so inaccessible they don’t often have other information or health resources at hand. Only 7.8% of girls/women have some secondary education in Ethiopia compared to 18.2% of men. And, correspondingly, the adult literacy rate is a low as 47% in women as opposed to 63% in men. It’s clear there’s a huge discrepancy in access to education between women and men – and the reason behind this boils down to puberty and periods. Oftentimes, girls have neither the resources nor the knowledge to manage their periods discreetly, nor do their schools have bathroom facilities to allow them privacy and sanitation. It’s a sad fact that girls will often stay home during these days of the month, fall behind in their studies and drop out at a much greater rate than male students. It’s a shocking waste of human potential. One of our global partners operates in the remote areas of northern Ethiopia where menstruation is still a highly stigmatised topic to help keep girls in school and give them back their dignity. RESOURCES FOR GIRLS | Our partner distributes reusable sanitary pads to girls in schools throughout rural areas who would not have ready access to them otherwise. The pads are reusable, washable (in fact, they can be hung out to dry just like a normal item of clothing so girls don’t have to feel embarrassed) and are locally made. SCHOOL FACILITIES | Creating more supportive school environments for teenage girls is imperative, which is why our partners are hard at work improving facilities in rural schools with private girls’ bathrooms to allow girls to manage their periods with dignity instead of having to stay home from school. INFORMATION | A short informational booklet called ‘Growth and Changes’ is also printed and distributed to both girls and boys to teach them about the facts behind puberty (facts they often would not get elsewhere), dispel common myths and help break down the taboo behind puberty and menstruation which so isolates and shames girls. Gender-based violence is a horrifying reality in Ethiopia, with 71% of women having experienced physical or sexual abuse (or both) over their lifetime. What’s worse is that an estimated 39% of these women have never talked about their experience because they fear the repercussions of reporting it. Not only is violence against women rife, but a lack of social support services means that women often find themselves alone and unable to seek help. We partner with a local organisation which runs fully-staffed sanctuaries for women who have experienced gender-based violence or abuse. SAFE SHELTER | The shelters are staffed 24/7 and are women and children-only, so that survivors of violence can feel fully secure. They also offer food, medication and legal advice for residents. EDUCATION | Residents are given the opportunity for basic literacy lessons and skills development courses to gain better prospects for the future. Some of their skills development courses include hand weaving, food preparation, sewing and bamboo weaving. CONFIDENCE | Staff in the safe shelters encourage residents to be physically active as a way to rebuild their confidence, and offer activities such as self-defence classes, scouts groups and marathons. GOVERNANCE | Staff work with the wider community such as the police, media, local governance and school teachers, to encourage the reporting of abuse, promote awareness and coverage of abuse cases, better prosecute cases, and educate on the harm of gender-based violence. 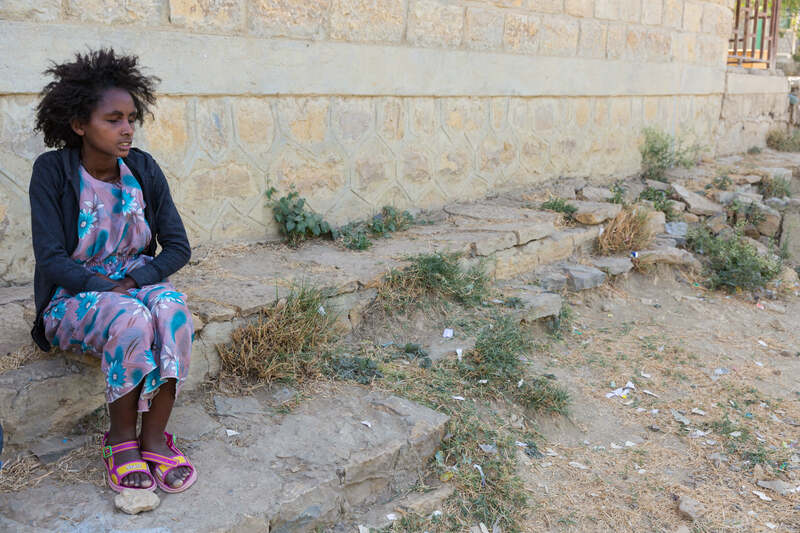 Lack of specialised health services – particularly maternal health services – is a huge detriment to girls in Ethiopia. 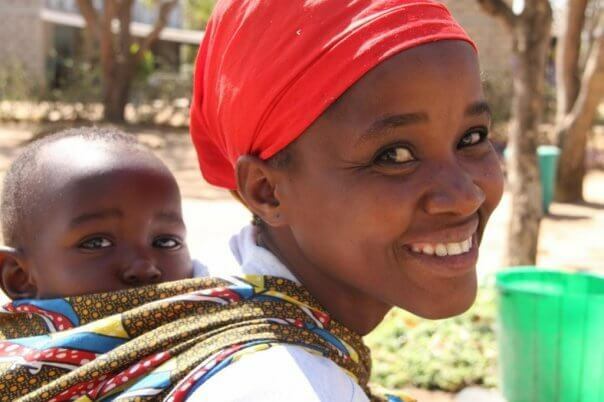 Practices such as child marriage and female circumcision are part of the reason behind the devastatingly high rates of maternal mortality and childbirth complications. There are an estimated 36,000 women living in rural Ethiopia with the debilitating condition of obstetric fistula, but less than 7,000 midwives trained to deal with this issue. This lack of healthcare, especially in rural areas, means that girls and women suffer alone and in silence for conditions which should be and can be curable. We partner globally with multiple organisations who work across four key areas to identify, treat, prevent and support maternal health in Ethiopia. IDENTIFY | Our partners work tirelessly to locate women suffering from conditions such as the socially isolating obstetric fistula (often these women are located in some of the most rural and remote areas of Ethiopia) and arrange transport to the nearest quality health centre or hospital for treatment. TREAT | A number of our partners provide free treatment and surgery for conditions like fistula and pelvic organ prolapse, along with post-operative care, rehabilitation and counselling to help with physical and emotional recovery. PREVENT | Ex-patients are given the opportunity to train as advocates of women’s health and are equipped to go back out to their communities to help identify women in need, refer them for treatment and provide valuable information to expectant mothers on safe pregnancy and childbirth. Within health centres and hospitals, our partners also run programs to train more midwives, gynaecologists, surgeons and nurses to provide critical healthcare, particularly in the rural areas where it is still sadly lacking. SUPPORT | A key part of improving girls’ healthcare is to grow awareness and support for this need in communities. This is done through radio broadcasts, educational film screenings and community workshops – including male sensitivity workshops – all with the aim to teach about the facts of fistula and other maternal health conditions, break down the stigma behind them and show how families can support women living with them. Today, the International Day of the Girl Child, shines a spotlight on this critical need for support of women and girls in Ethiopia. LEARN MORE | To learn more about our work empowering girls, check out the ‘Our Work’ section. SUPPORT GIRLS | To make a donation in support of girls in Ethiopia, head to the ‘Donate’ page.